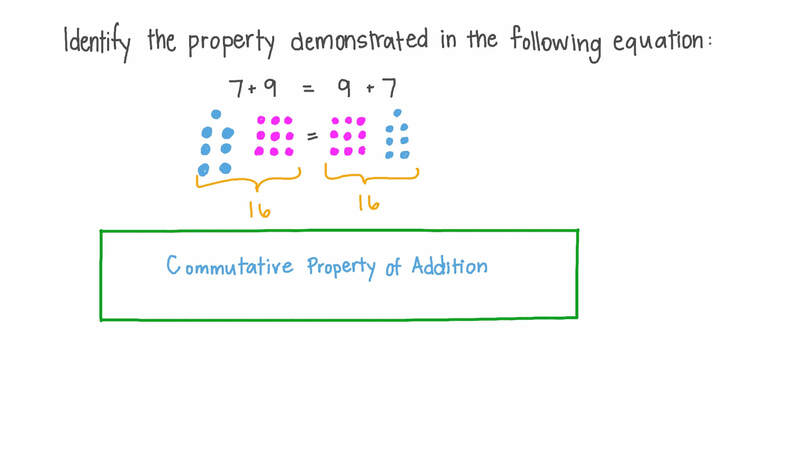 In this lesson, we will learn how to use the four properties of addition (commutative, associative, identity, and distributive) to solve problems with numbers up to 100. 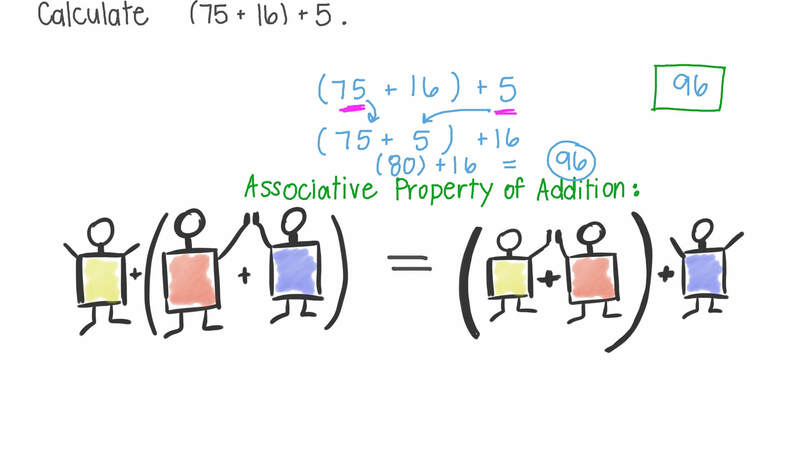 Identify the property demonstrated in the following equation: 7 + 9 = 9 + 7 . Calculate ( 7 5 + 1 6 ) + 5 . Which picture shows that 2 + 5 = 5 + 2 ?